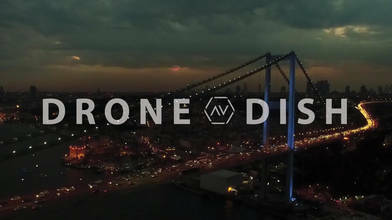 Description: On today’s episode of The Drone Dish, we chat with Turkey’s own Omer Gokcen (AirVūz Profile: Omer Gokcen BAYRAKCI), who’s profile boasts nearly 300 videos! After casually beating the world record for longest UAV flight, Omer decided to give try drone piloting a shot. It obviously didn’t take long for him to adapt, as he now churns out at least 10 videos a week! From his beautiful hometown of Istanbul to the flashing lights of Miami, there doesn’t seem to be a continent on Earth Omer hasn’t flown on.